I've finished a baby boy quilt for 100 Quilts for Kids and for the Central Jersey MQG's 2014 charity initiative. Our charity sewing has been successfully led by our fearless philanthropy chair Krishma. 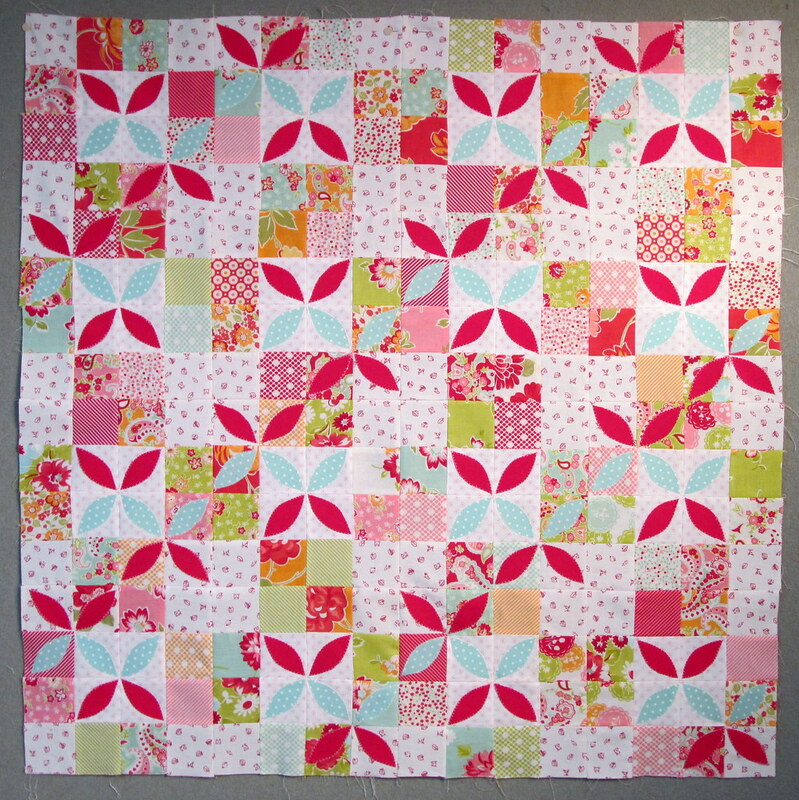 We will have about 20 quilts to donate locally to the Center for Great Expectations, which helps new mothers! 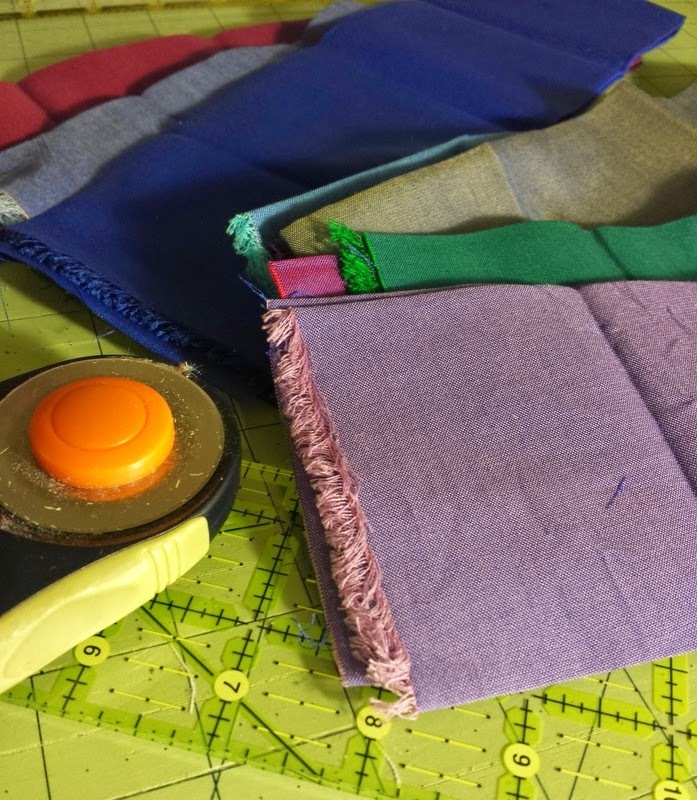 Back in June, Krishma organized a charity sewing day, where guild members chose precut donated fabric and a pattern to work on. We finished several tops that day! Our guild members have been so generous with their fabric, skills, and time. You might remember that I finished one (I'm third from the right in that picture) - I ended up grabbing a different one later in the summer to baste, quilt, and bind. The black binding frames it nicely. I can't wait to be there when we pass off these baby quilts before the cold winter months. Linking up (a bit last minute!) 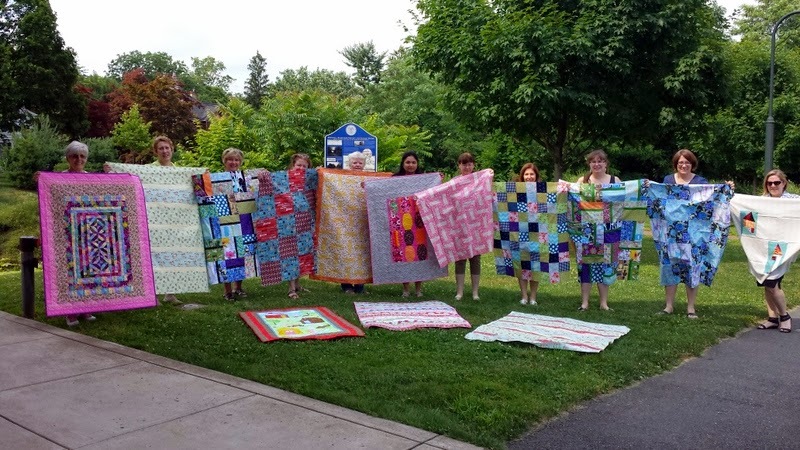 to 100 Quilts for Kids! Today, I was scrolling through my somewhat-neglected-of-late blog and realized, with a jolt, that today is my 4 year blogiversary (thanks to a widget on my sidebar)! It's hard for me to believe that quilting/blogging have been one of the most important parts of my life for 4 years already. At the same time, it feels like I've been doing this my whole life (it has been most of my 20's so far!). When I think about how many things I'll (hopefully) be able to make in a lifetime, I start to itch with creativity. I just want to make things. 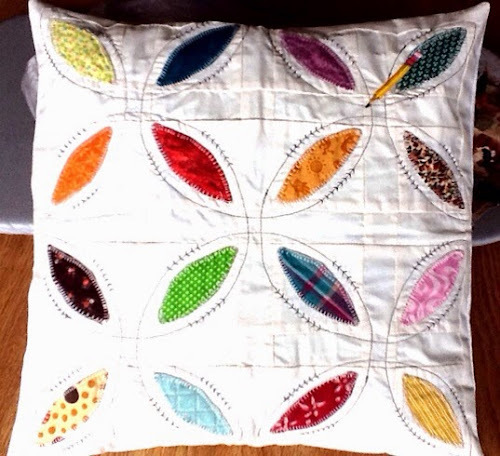 So, for this blogiversary, I'm offering a custom made pillow cover for one reader! Details: The pillow cover can be any size up to 24" (so long as you provide the actual pillow form). It won't be started until at least the end of October, and I'll aim to send it by the end of the year. This giveaway is open internationally to anyone in the world. You tell me what kind of pillow you would want (size? improv? curves? quilt-as-you-go? a certain pattern? quilter's [my] choice? dense or not-dense quilting? which colors?) to enter. If you enter, please give it some thought. :) You can answer any of the questions - I can't wait to read about it. Feel free to change your mind/alter your response if you win, though (before I start sewing :D). You can have a second chance at the giveaway if you follow me - just let me know how in a second comment. I'll close the giveaway on Oct. 3 at 7pm EST, when I'll choose a winner by Random Number Generator. 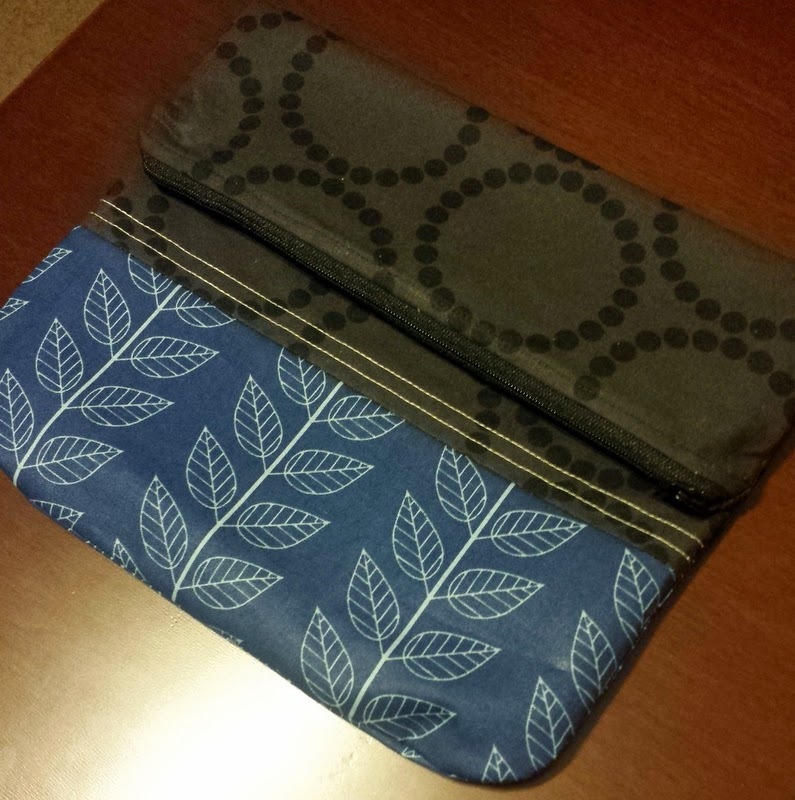 Lately, I've been sewing just a little on several different projects, and blue seems to be a common theme! I need to finish my commitment to The Sisterhood of the Traveling Quilts bee - Renee's quilt has just one stop after me (the lovely Ashley). Renee and Laura already worked on this beauteous medallion. 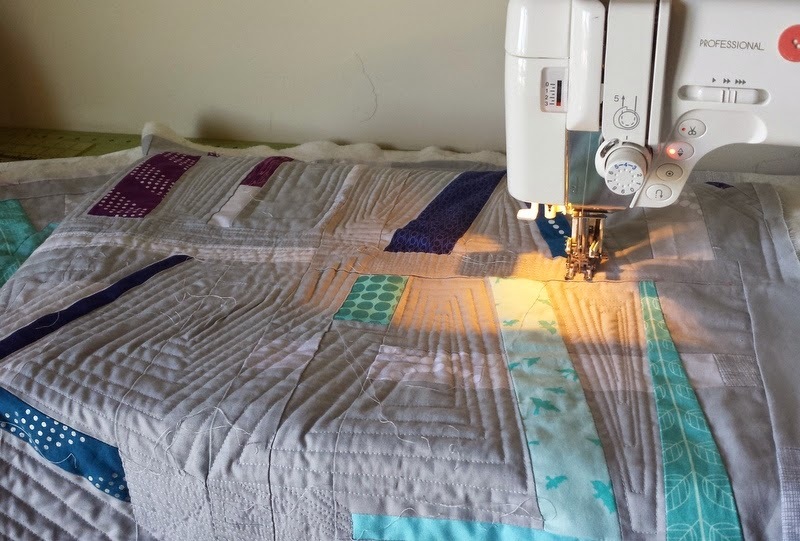 I LOVE the idea of sending a medallion around as a progressive quilt - great idea, Renee! So far, I added the blue metallic Cotton and Steel border and the cross stitch blocks. I might start the next border tonight! I can't wait to share what this looks like before I pass it on. By the way, if you want to get in on the next round of progressive quilts, keep an ear out... we have to discuss it soon. This weekend, I had the opportunity to visit one of my best friends, my college roommate, for her birthday. She lives a little more than an hour away but with our crazy work schedules it's hard to get together (know the feeling?). Whenever we do get together, we usually sleep over for a night or two. Kristina and I used to just chill out all the time (during college we watched the entirety of Friends and How I Met Your Mother seasons 1-8 over two years) so that's what we like to do a lot of together. :) We had a great weekend of food, Parks and Recreation, and just catching up! Anyway, we talked about not buying birthday gifts this year, but I couldn't help wanting to make her something cute and functional. The night before (I know I'm a little insane) I decided to finally try my friend Heidi's Nora Clutch tutorial. It was pretty quick (under 2 hours - I can beat that next time though) and it came out ADORABLE. Let's just say I'm already scheming to make a bunch more of these - the fold over layout is just so cute! These were Kristina's colors and I think I did her style justice. I even used some precious Pearl Bracelets for her - she loves them, too! Have you been drawn to a certain color lately? 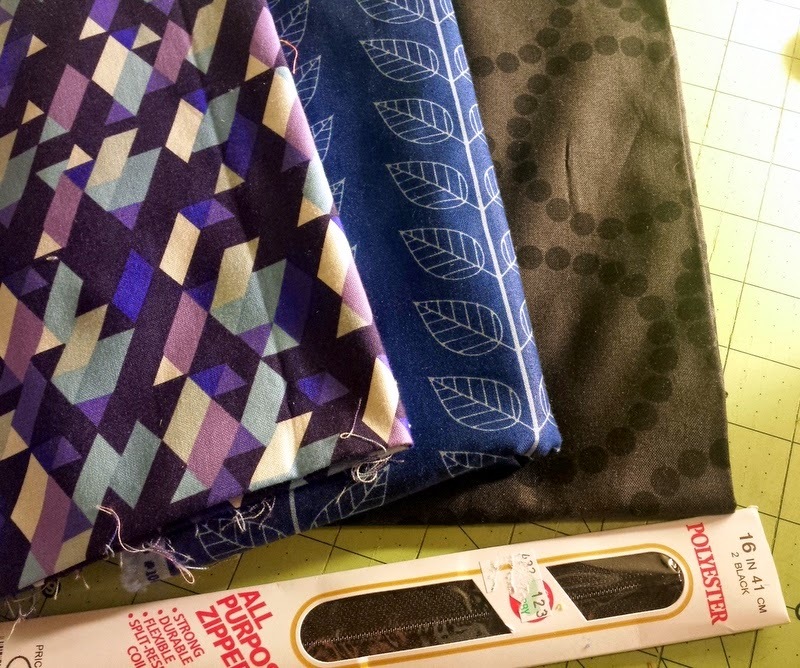 Linking up to Fabric Tuesday, WIP Wednesday, and Needle and Thread Thursday. As you may know, orange peels (or petals) have been my life the last three to four months here on the blog. 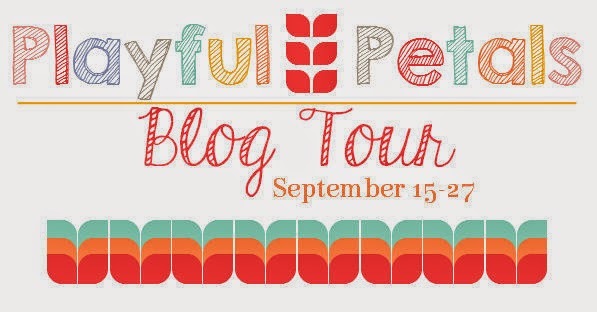 So, when Corey Yoder of Little Miss Shabby asked me to be a part of her book's blog tour, I didn't have anything else to say but a resounding yes! Corey is a fellow blogger and friend, and I always enjoy reading about her creative pursuits! Look at this cover quilt... you can't stop looking at it, right? It's love at first sight. I had the privilege of reading a digital copy (how cool is it that sewing books are now so easily accessible?) of Playful Petals, thanks to C&T Publishing. Corey has done a bang up job of demonstrating the versatility of orange peels/petals. She supplies clear instructions and uses different sized petals. 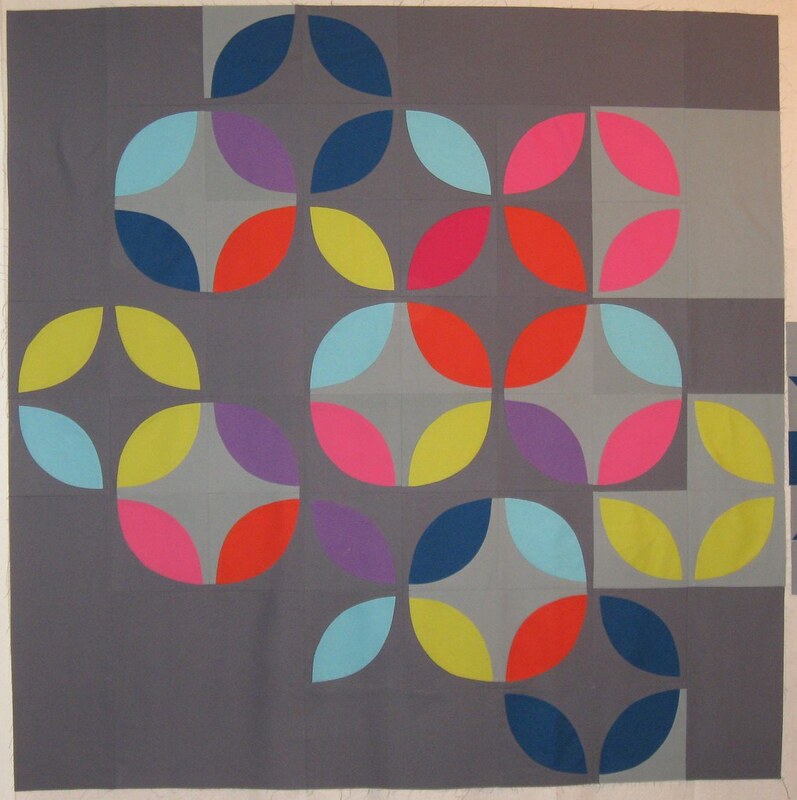 The petal templates are conveniently located with each of the 9 quilt patterns. 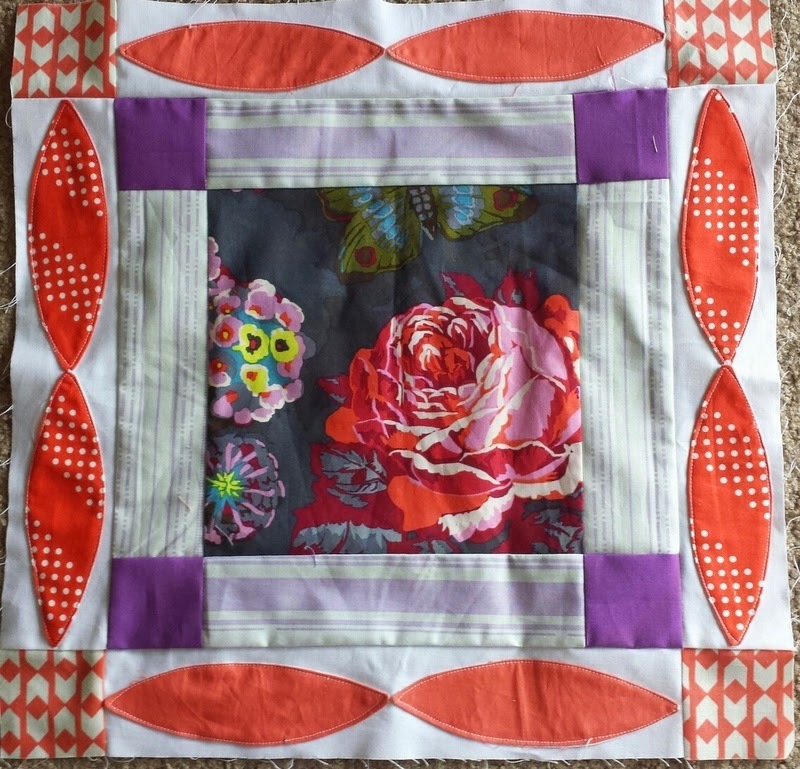 ^This design, "Posey Patch," involves layering petals. I can't wait to try this! Corey also explains fusible applique ("Applique Basics") by guiding you through the process and stitching options. She encourages you to use the method you like best, whether fusible or not. I really enjoyed her tips on how to make applique a bit faster (complete with diagrams) - I like to put my pedal to the metal sometimes! Another unique part of the book is the section about using precuts for petals. Plus, I can see myself using her handy "Pillow Back Cutting Guide" chart for basically any pillow I make in the future! That is one valuable little chart! My favorite part of the book: it doesn't end there. 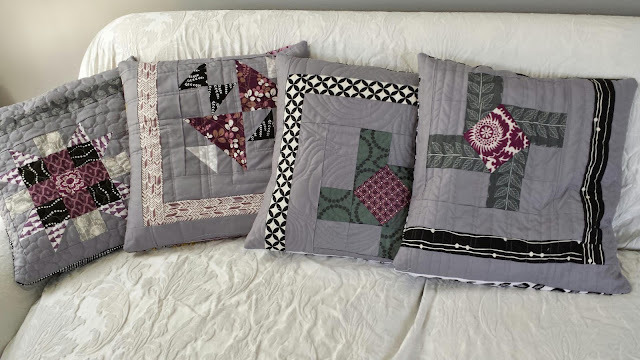 Corey designed 9 smaller projects (minis or pillows) based on her quilt designs. So you have 18 project options! 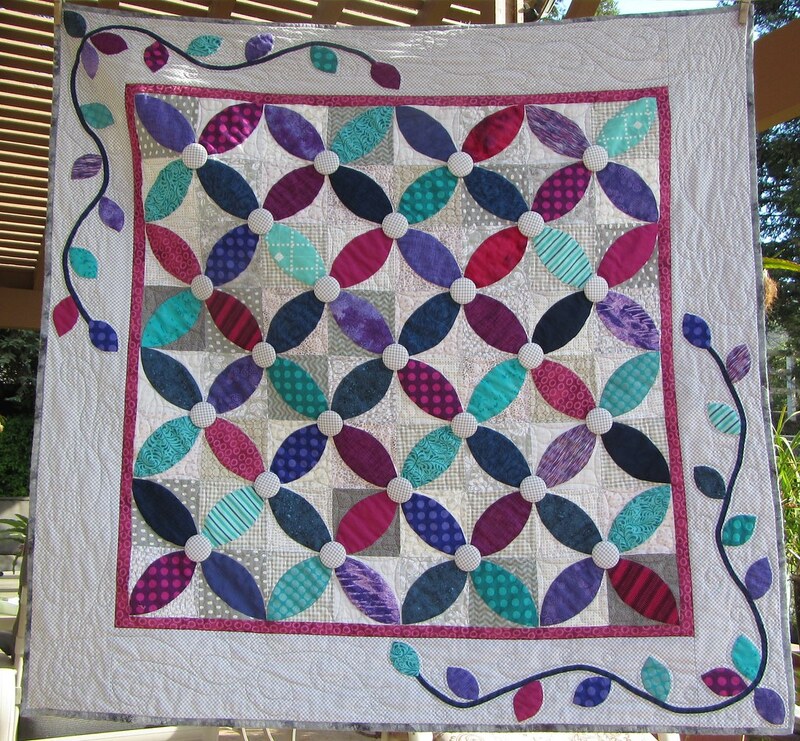 I love a good mini quilt and I know many of you do as well. I decided to try out "Flower Garden" first. I love how you combine large prints and small, skinny petals with this pattern. I could repeat this block throughout a quilt or just making a one block pillow (as Corey has done). This block, however, is destined to become a medallion-like baby quilt! Can you believe I actually used some of my AMH fabric? I even have the rest of my fabrics picked out - all based on the center. In the future, I'd love to read a book about improv (improvisationally pieced peels? maybe I should start experimenting?) and more about using scraps for applique. Also, it would be fun to read about all different types of applique and make specific projects to practice each technique. I really love reading about techniques more than patterns - and Corey's book has a lot of both! Onto the winners! The first three winners were chosen by Random Number Generator. You can see how entrants categorized their projects here. Winners, I'll be emailing you tonight! 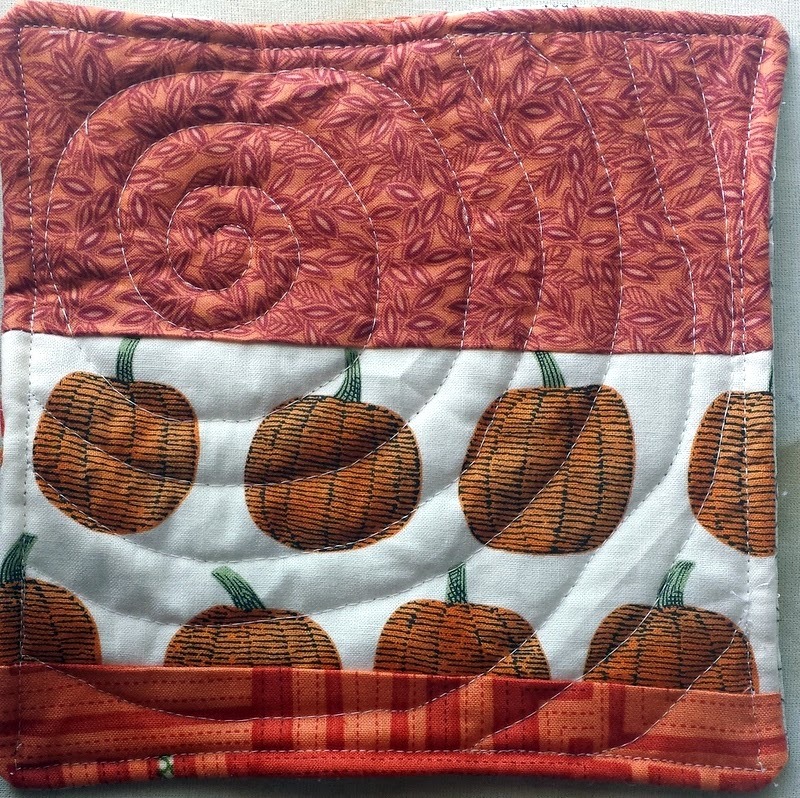 The winner of the Quilts category wins a $25 gift certificate to Sew Me A Song! Hand appliqued, and I LOVE this color scheme! 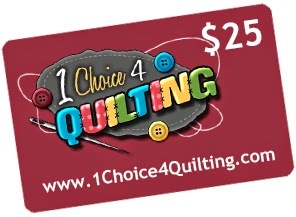 The winner of the "Just the Top" category wins a $25 gift certificate to 1 Choice 4 Quilting! She used raw edge applique. The four patches came first, and then she added peels... sooo pretty and a great idea! 3. Minis (pillows, tablerunners, placemats, mini quilts, etc.) - shortest side must be less than 30"
The winner of the Minis category wins a $20 gift certificate to Westwood Acres! A vibrant color scheme and creative decorative stitching! Readers voted for the winner of the Viewer's Choice category! I did not vote to ensure neutrality. Viewer's Choice can be chosen from ANY category. The winner of the Viewer's Choice category wins a fat quarter bundle of one of the colorways of Moonshine by Tula Pink from The Intrepid Thread! Renee (Quilts of a Feather)!!! Renee led the pack with 44 votes! She also just won a ribbon for this quilt at her state fair. It really is gorgeous! Check out that quilting. If you haven't seen Renee's work, you need to check it out! I just love Kristin's bold fabric choices and the background depth (from those lovely grays). Amazing. Plus, it's pieced instead of appliqued! Kristin will be getting a little surprise from me in the mail. Well, mostly. I'm making use of my darning/free motion foot for some match stick quilting a la Leanne, just to mix things up. 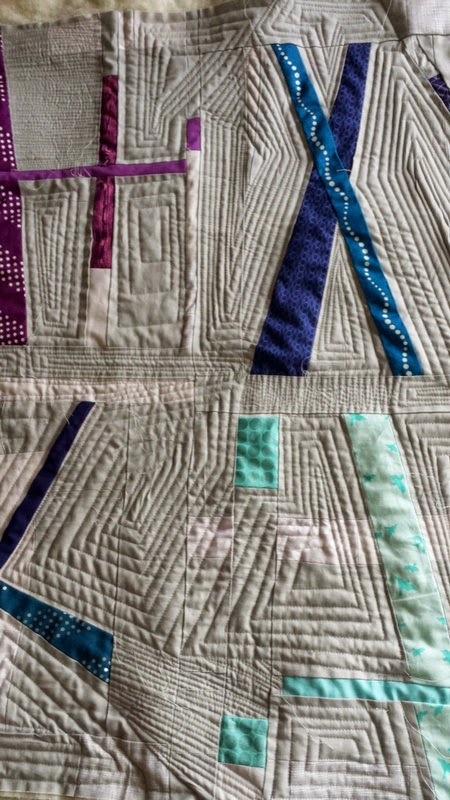 The walking foot quilting is specifically inspired by Jacquie Gering, namely her "Shattered" quilt. During the "Slice and Insert" workshop, she pointed out how the shapes were forming between the colored lines. Thus, I felt that this quilting would accentuate the quilt the most. And it's fun! No measurements, just guide and go. I mentioned previously that I've been stuck in a bit of a "sewjo" slump the last week. I'm pretty sure I can attribute this to having a pretty nasty cold the last 4 days (it didn't take very long being back in school!) and working a strange and busy schedule once again. Even though it's not a deadline (though I'm considering entering it into QuiltCon), even though it's selfish sewing, even though I have plenty of other deadline work to do, I just did it. It's been calming and satisfying, so no regrets at this point. I might even finish the quilting tonight. I hope you've found some peace in sewing this weekend, too! I won Neva's (@nevaajo) in the blind swap and I'm in love! I had already admired it on Instagram so it was meant to be, perhaps? It looks beautiful as fall decor in our dining area. Neva is so talented! Another small finish this week was a voile infinity scarf from Francis Newcombe's new Cherie voile. 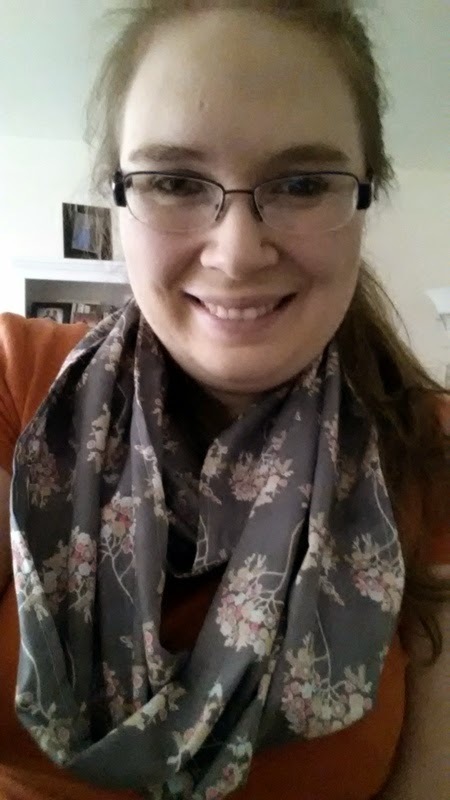 I love making voile scarves and I use this tutorial from Sew 4 Home. It's awesome - from 2 yards of 54 width fabric you can make two scarves (one for you and one for a friend!). I made a bunch of these for Christmas last year and they were a hit! You have the option of top stitching - I like the way my light blue Aurifil thread contrasts with dark gray but matches the flower design. One scarf is on display at my LQS, Pennington Quilt Works, and the other is mine to wear when the weather cools down a bit more! If there's enough interest, I'll be teaching the scarf at our November guild retreat. Linking up to TGIFF and Crazy Mom Quilts. 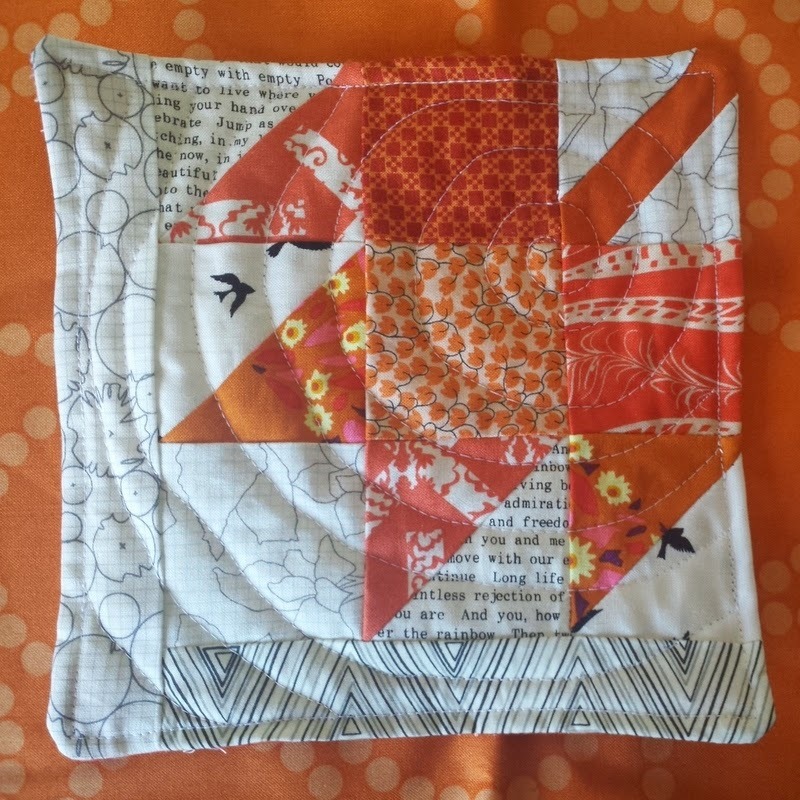 Viewer's Choice Voting: Orange Peel QAL! Wow! 17 quilters entered the Orange Peel Quilt-A-Long Final Linky Party, which closed last night at midnight EST. It is AMAZING to see all of these beautiful quilts together! I know I've enjoyed working with orange peels this summer and I hope you have, too! The Viewer's Choice Linky Party will be open for voting from today until 12 noon EST on Tuesday, September 16. I'll post all the winners then. The winners of the Finished Quilt, Mini, and Just The Top categories will be chosen by the Random Number Generator. You can see the prizes here! Finally, Viewer's Choice (which can go to any of the projects) will go to the project with the most votes overall in a week. The winner of the Viewer's Choice category will win a fat quarter bundle of fabric of one of the colorways of Moon Shine by Tula Pink, out this month, from The Intrepid Thread! Without further ado, here are all the entries. Vote for your favorite and invite your friends and family to vote, too (1 vote per IP address)! Click the heart in the corner of the thumbnail to vote for your 1 choice. Also, please read about these beautiful projects - so much hard work! 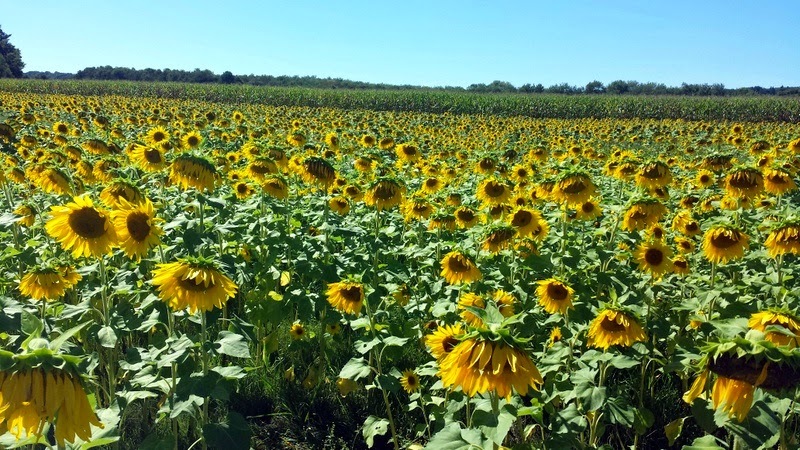 Quilts and sunflowers, oh my! 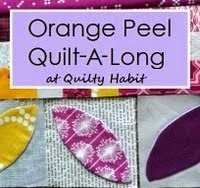 Just one more day to link up your Orange Peel finished quilts, minis, and just-the-tops to the Final Linky Party! All of the 14 entries so far are beautiful and so unique! The linky will close on Monday, Sept. 8 at 11:59 PM. Lately we've (okay, mostly me, but Mike enjoys it, I think!) been on an adventure kick. There are so many places to drive in western NJ/eastern PA and I want to try out all the local restaurants and see everything! Of course I'm being a bit ambitious but we do what we can. 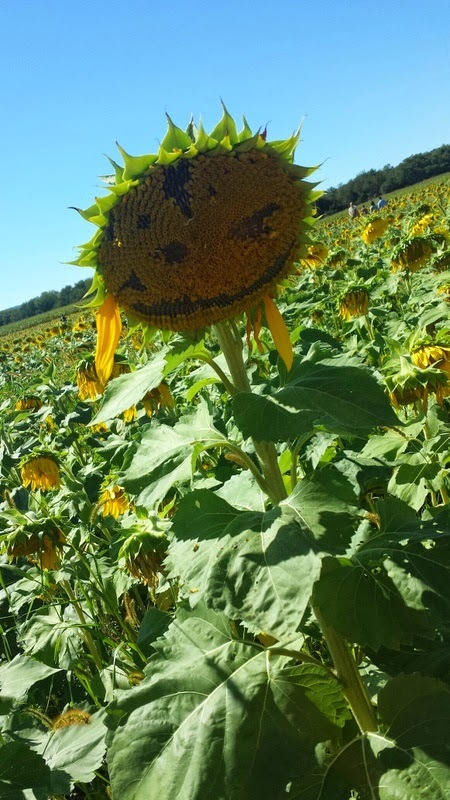 I found out about the Sussex County (Northern NJ) Sunflower Maze just a couple of days ago, and the first thing I thought was "ooh, I bet my Modern Maples quilt would look amazing there!" 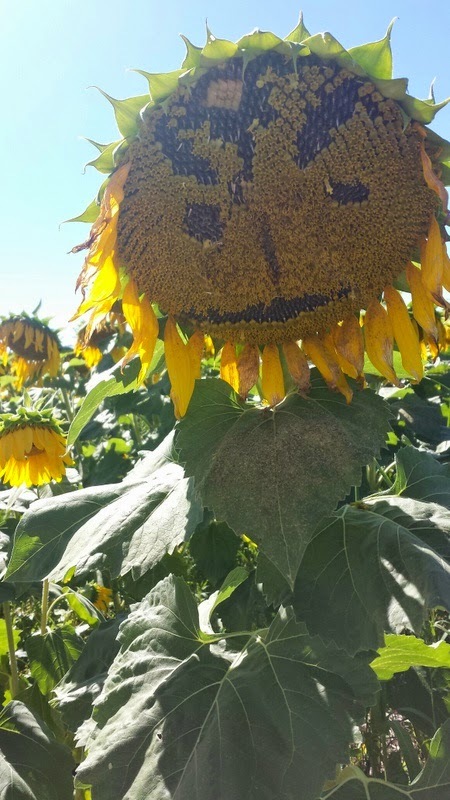 :D So off we went... and yes, sunflowers are my favorite flowers (they were also featured prominently at our wedding almost 2 years ago)! They did not disappoint in the slightest! We had fun taking picture with Mike's fancy camera and my phone. We definitely earned our steps for the day (almost 8,000) and took in a double dose of Vitamin D. Don't worry, I carried the quilt around in a garbage bag so it wouldn't get ruined! Some were leaning over so far! There had to be at least 100-150 people in the maze when we were, but it was so large that we stumbled upon sections completely void of people. It was eerie and peaceful at the same time. Mike wanted to delete this one but I thought it was cool, all out-of-focus and dreamy! We had such a fun time. Yes, I was the only person there with a quilt. But it was worth it! I would have brought more than one if he would have let me ;). Sisters' Ten Quilt #2 - TWO Finished Quilts!